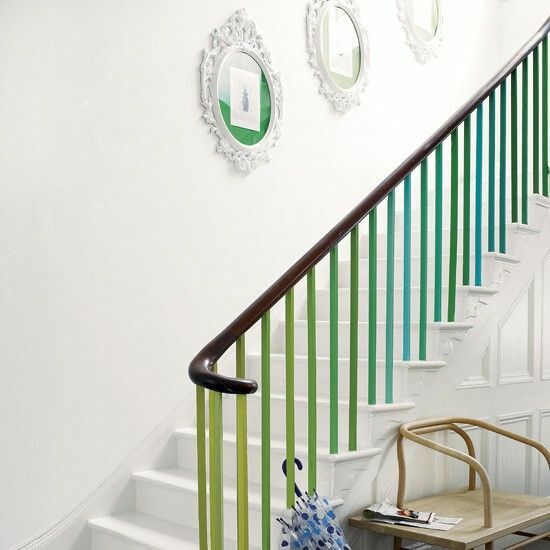 These painted stairway spindles are lovely! The way the varying shades of blue and green fade from light to dark creates an enchanting ombre effect. Simple, creative, colorful. For DIY tips, follow the link in the Photo Credit below.